Dennis Family Homes Brookdale 293 display in Armstrong Creek has been judged Best Display Home ($250,001 to $300,000) at the HIA Western Victoria Regional Housing Awards held in Torquay last Friday, 1 September. “We feel very proud that our Brookdale 293 display at Warralily estate has won this prestigious award from the Housing Industry Authority. 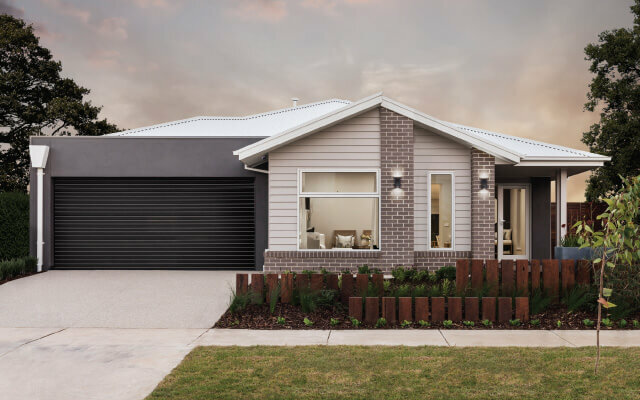 It’s a fabulous home with a very practical floorplan that has been warmly received by young families and downsizers alike,” says Dennis Family Homes Geelong Area Manager, Phillip Shaw. 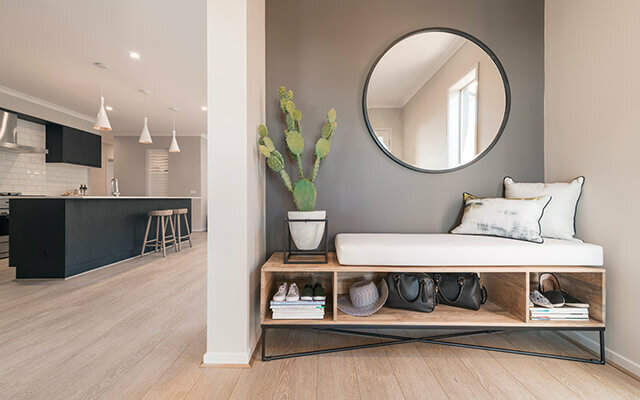 “The stunning Boardwalk façade on the Brookdale 293 has also drawn very favourable feedback from visitors as it is definitely a perfect fit with the coastal vibe at Armstrong Creek,” adds Mr Shaw. Built to showcase the Essence range of inclusions, the Brookdale display has been finished with a “beachy” interior theme that perfectly complements the weatherboard and brick façade. “Feedback has been very positive and visitors have been impressed by the high quality of the Essence inclusions,” says Mr Shaw. 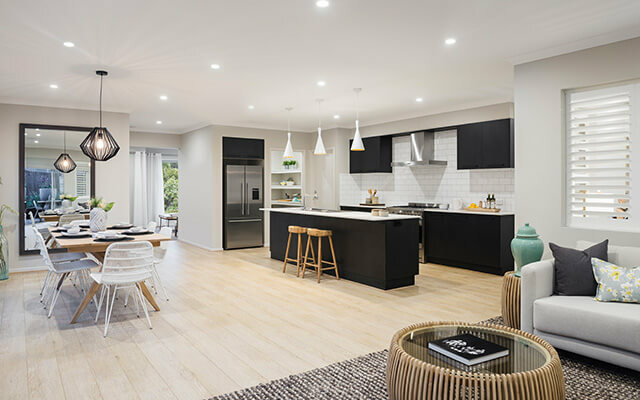 Included in the Essence range are the stone benchtops, stainless steel appliances and the on-trend subway tile splashback that is featured in the kitchen, bathrooms and laundry. The Brookdale’s design has been recently altered to include a larger pantry as standard. The home’s floorplan features a family wing, with all four bedrooms accessed by a hallway off the kitchen. The master bedroom suite, complete with a walk-in-robe and large ensuite with double vanity, is at the rear of the home overlooking the alfresco area. Suitable for construction on blocks from 14 metres in width, the Brookdale is available in a choice of three sizes ranging from 24 squares to the 29 square version on display. The displays are open daily from 11am to 5pm at Maroubra Street, Warralily estate in Armstrong Creek. Further information is available online at www.dennisfamily.com.au or by phoning 1800 DENNIS.